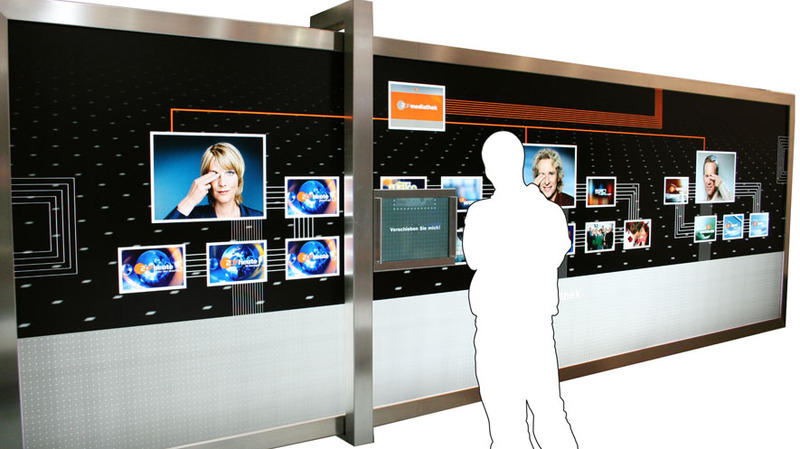 For CeBIT 2007 235 MEDIA designed an interactive information wall for ZDF. 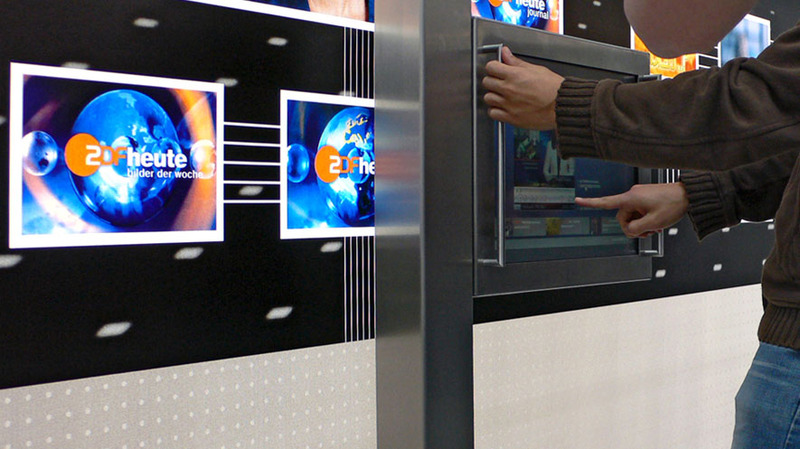 The particular challenge was to make the ZDF online library accessible to trade fair visitors in a haptic manner. 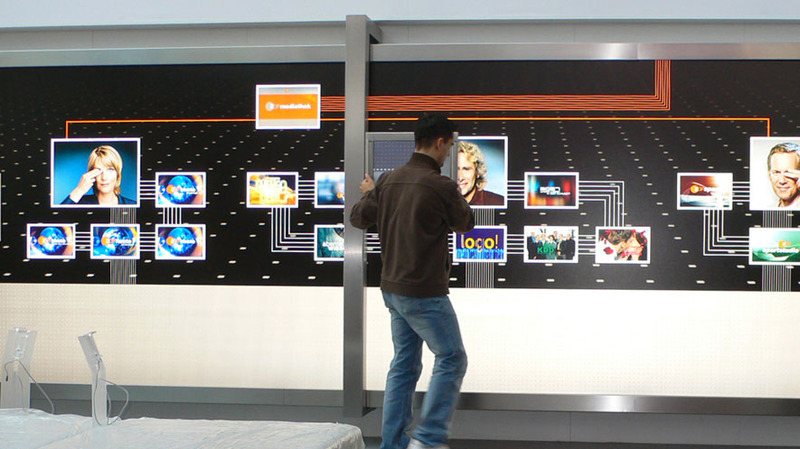 The 6.20 meters x 2.07 meters dimensioned light box with a stainless steel casing presented central themes from the ZDF Online-Mediatheque. Trade fair visitors could move the flat screen TV mounted on a guide rail both horizontally and vertically across the whole area. 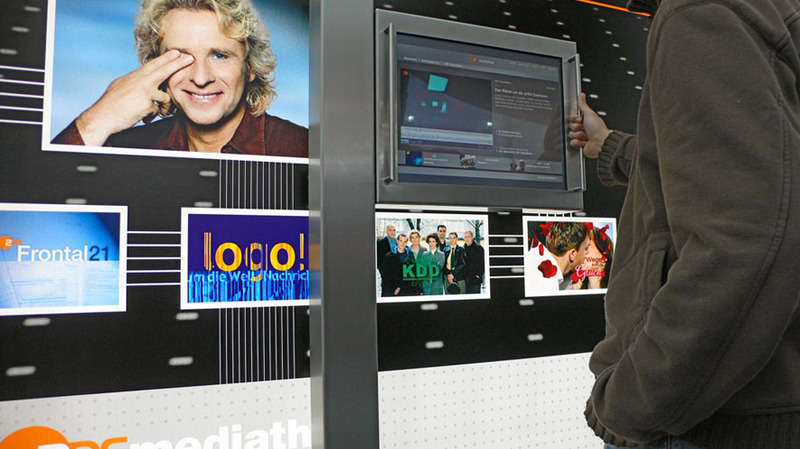 Depending on the position of the XY-coordinates, the flat screen displayed the various topic fields in the ZDF Online-Mediatheque, which could then be expanded upon via the screen. The Info-Slider is a variably deployable information system that can be brought into action wherever detailed information needs to be imparted from a total overview.